Compass Marine Fender Ropes are made from good quality, LIROS 8mm, 3 strand polyester rope and have an eye ready spliced in one end for easy use with Compass Marine fenders - thread the end of the rope through the eye of your fender and then through the eye of the rope to create an easy, secure hold on your fender. 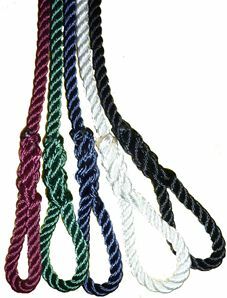 Length 1m with eye splice. A 1.5m length of 5mm 3 strand polyester rope in black. These budget lines have an eye ready spliced in one end for ease of use. 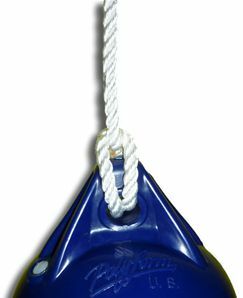 Because our fender and mooring lines are spliced in house we can offer a splicing service with fenders that are purchased from us. 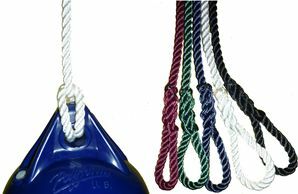 Simply choose the number of ropes in this category to match the number of fenders you are purchasing from us and we will do the rest!